Dry eye can cause discomfort and can even contribute to poor vision. At Lakeside Eye Associates in Huntersville, NC, we help patients by treating dry eye and teaching our patients how to manage their dry eye symptoms at home. The tears are evaporating too quickly. Increased tear evaporation can happen because of environmental factors and can sometimes occur because of a problem with the eye lids. Problems with the tears themselves. Human tears are made up of a combination of mucus, oil and water. An imbalance of one of these three components can cause problems with the tears that lead to dry eye syndrome. The eyes are not producing enough tears. This condition, called keratoconjunctivitis, can happen for a variety of reasons. People may experience keratoconjunctivitis because of age, tear gland damage, laser eye surgery or pre-existing medical conditions. Artificial tears. There are a variety of different types of artificial tears on the market. Picking the right kind of artificial tears can be difficult for those people who don't understand why their dry eye is occurring. We help each patient find the right kind of artificial tears for their condition. Environmental controls. Sometimes dry eye is caused by unfavorable environmental conditions. Smoky air, dry air and windy conditions can all cause the eyes to be very dry. Your eye doctor can help you identify the causes of your dry eye problem. Once you know why your dry eye is occurring, this will enable you to find a solution that will work for you. Prescription eye drops. Your eye doctor may recommend prescription eye drops, depending on the severity of the problem. There are multiple different kinds of prescription eye drops available, so before your doctor can recommend prescription eye drops, your doctor must first diagnose your condition and determine which types of eye drops will be best for you. Slow release lubricant. Slow-release lubricants can be placed under the eyes to keep the eyes moistened all day long. If you suffer from the effects of dry eye and would like to seek treatment, stop in at our optometrist today, or make an appointment. 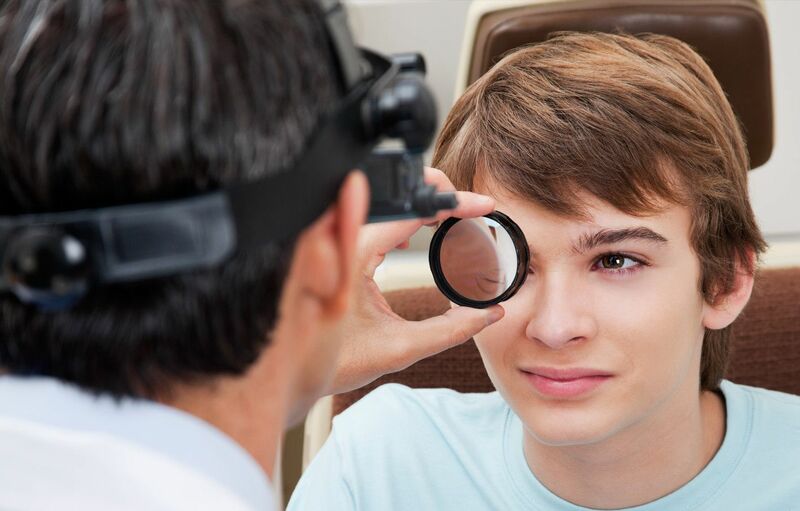 The optometrist at Lakeside Eye Associates will be happy to help you get the treatment you need so you can boost your comfort as well as your eye health. For more information, contact Lakeside Eye Associates today at (704) 457-7300 . We're a trusted name in optometry in Huntersville, NC!